What's 'degrowth' and a degrowth approach to future sustainability? 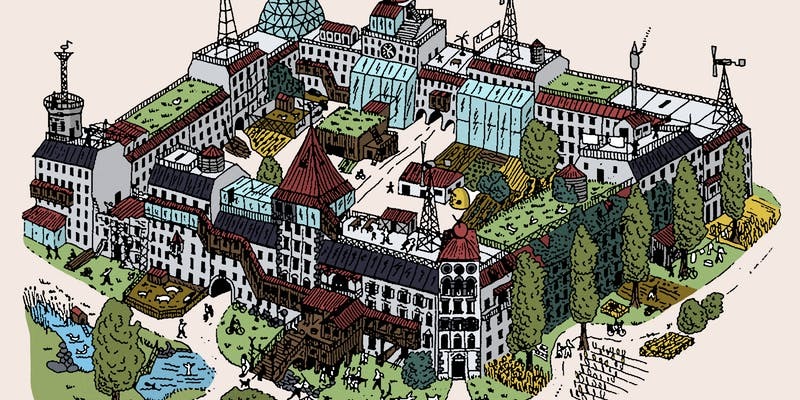 As part of the National Sustainable Living Festival 2019, the Melbourne launch of Housing for Degrowth: Principles, Models, Challenges and Opportunitiesfollows 29 housing for degrowth book events in Europe. This Routledge Environmental Humanities Series book has 25 international activist-scholar contributors, including four Australians. Explaining and debating ‘degrowth’ in cities and housing is lead editor Associate Professor Anitra Nelson; Professor Jago Dodson, Director of the Centre for Urban Research at RMIT University; Libby Robin, Emeritus Professor at the Fenner School of Environment and Society at the Australian National University; Brendan Gleeson, Director of the Melbourne Sustainable Society Institute at Melbourne University; and Terry Leahy, conjoint in the School of Humanities and Social Science, University of Newcastle. Time for audience participation with questions and comments. Signed paperback copies for sale at the discounted price of A$35 — as part of the National Sustainable Living Festival 2019. Dowel Jones and UNITED PRODUCTS.